The world is in the middle of what experts believe is a sixth mass extinction, with a rate eight to 100 times higher than expected since 1900. While the previous five die-offs were driven by natural events such as the one that brought about the end of the dinosaurs (and also exterminated 75 percent of all species on the planet), the current mass extinction is driven by humans. An ever-expanding human population—which is expected to increase to 10 billion in the coming decades—has meant that there are fewer and fewer truly “wild” places left. This in turn has put pressure on both habitats and conservation efforts. Animals enrich our planet, and our lives, and humanity has a moral obligation to preserve wild and endangered animals. 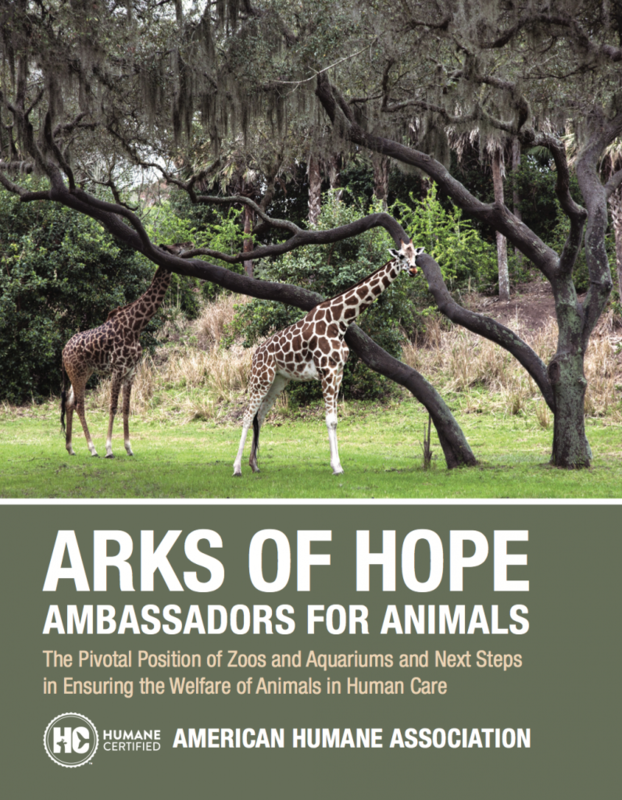 In response to these challenges and duties, zoos and aquariums have become modern day arks of hope for many species. Zoos and aquariums not only fund thousands of conservation projects, but they are vessels themselves to safely house and help sustain populations of critically endangered animals. People won’t protect what they don’t love and they can’t love what they don’t know. Zoos and aquariums are the ambassadors between wildlife and humans. According to the Association of Zoos and Aquariums, over 181 million people visit U.S. zoos and aquariums it accredits every year, which is more people than go to NFL, NHL, NBA, and MLB games combined. Globally, 700 million people visit zoos and aquariums every year, or about 10 percent of the world population. Zoos and aquariums are positioned today not only to take a leading role in conservation, but to educate the next generations about the importance of Earth’s animals. Zoos and aquariums don’t just help us appreciate animals that we might otherwise never see in person. They also provide vital research that helps these animals continue to exist on the planet and contribute to jobs and economies across the world. Of the estimated 10,000-12,000 zoos and animal parks in the world, only an estimated 2.3 percent or less were accredited or recognized as of 2008. As we face 21st Century challenges in caring for the Earth and its creatures, zoos and aquariums—especially those accredited to meet professional standards—will play critical roles at every step. We must make sure that the outstanding work already being done by many facilities is recognized, that substandard institutions are improved or closed, and that more institutions worldwide are brought to the highest level for animal welfare. While there are accreditation programs for zoos and aquariums, there has not been an effort devoted solely to verifying the welfare of animals in human care. Furthermore, in today’s society where the public is skeptical and demands independent certifications, accreditation programs are based on older models such as those offered by trade membership associations where independence is certainly not assured nor guaranteed. In contrast, American Humane’s new Humane Conservation™ program offers an improved model that allows for independent, third-party certification of the humane treatment of animals in human care, based on rigorous science and evidence-based practices. Humane Conservation audit teams are independent from the institution, and the focus is solely on the humane treatment of the animals, and not other factors outside of animal welfare. With more and more Americans concerned about the treatment of animals, Humane Conservation certification standards are 100 percent focused on animal welfare, and have been developed by leading scientists and ethicists. It is the first program of its kind —the new gold standard for animals in zoos, aquariums and in human care. To ensure the humane treatment of animals, we must bring new welfare certification systems into being that focus solely on the treatment and well-being of animals in our vital global network of zoos, aquariums and conservation centers. This task, as well as an in-depth examination of the value of the institutions that play the greatest role in preserving the world’s disappearing species, is the subject of this paper.